Click here, or on the image of the booth to go on a 3-D tour of my booth! You can even check it out in virtual reality if you have the proper hardware. If you come and visit me at an art show, my booth will probably look something like this. 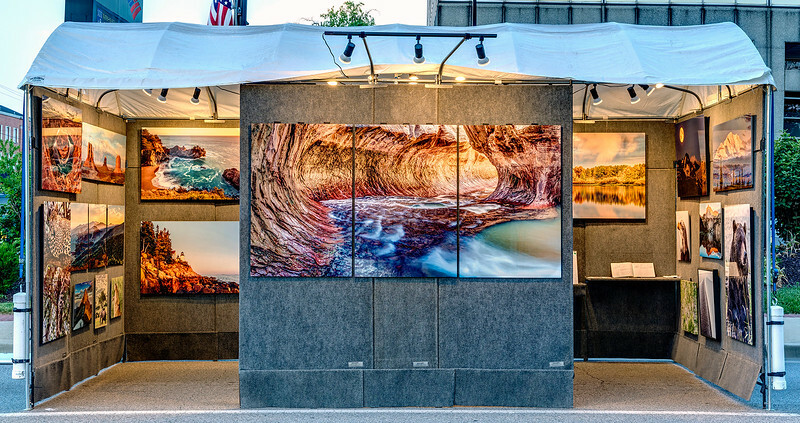 While most artists display from a 10 foot by 10 foot booth, I typically show my work in a 10 foot by 20 foot booth, which allows me to show a lot more work, and allows visitors to move around and look at my work more comfortably. Check out my appearances here, and come say hi if I'm in your area!